Polish born and educated, Alexandre Tansman (1897‐1986) was essentially a French composer, whose move to Paris in 1920 was the making of him. He won the admiration and friendship of both Ravel and Stravinsky, and took a central place in the exhilarating cultural life of the city�s �Roaring Twenties�, even if his guitar music bears little trace of �Jazz Age� experimentation. The guiding force behind Tansman�s writing for the instrument lies, instead, in the person of Andr�s Segovia, catalyst and Svengali for so many composers in the first half of the 20th century. The wandering harmonies of the Inventions and duet Sonatina may betray the influence of Ravel and Scriabin, with their echoes of French neoclassicism. The four Mazurkas, Suite in modo polonico and Hommage � Chopin, however, speak clearly of Tansman�s deep love for his native Poland; a love infused with nostalgia and imbued with a tender melancholy. The Spanish dance music from which Segovia drew his own distinctive aesthetic identity is reflected in Tansman�s transformations of vernacular French and Spanish melodies and rhythms in the Pi�ces br�ves and the Suite, which concludes with a movement simply titled Segovia. However, Segovia made significant editorial interventions in Tansman�s scores, and Cristiano Poli Cappelli has returned to the composer�s original ordering and markings in works such as the portmanteau, six‐movement Suite. 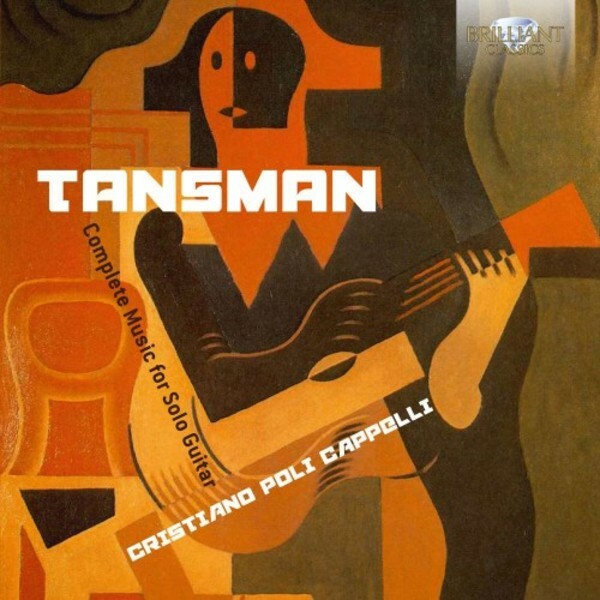 Tansman�s music for guitar is regularly encountered in mixed collections and compilations on record, but this is the first truly complete set; a previous disc billed as such omits several works such as the Pi�ce en forme de Passacaille and Hommage � Lech Walesa. Cristiano Poli Cappelli is joined in the duet Sonatina by Andrea Pace; together they have recorded the complete music for two guitars by Mario Castelnuovo‐Tedesco on Brilliant Classics (BC94833).